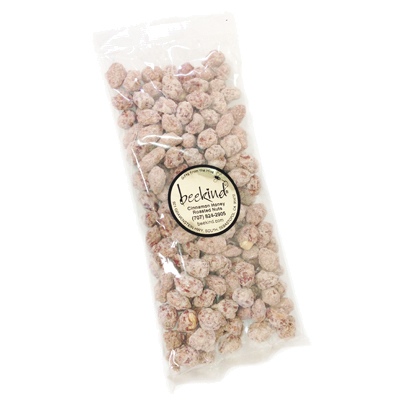 Our Honey Cinnamon Roasted Almonds are crunchy and satisfying with a nice cinnamon finish. Great for hungry kids or husbands! Ingredients: California Grown Almonds, Honey, Cinnamon, Sugar, Salt, and Sunflower Oil.